Jet-Mate Wood Colors are a family of chemically compatible waterborne colorants that may be directly incorporated into the ACQ / CA wood preservation treatment process allowing for a single-step treatment procedure. Specifically designed for use in industrial wood treatment, this series of colors are stable at acidic pH and provide great staining fastness and affinity to wood fiber, consequently enhancing the appearance and visual appeal of the treated timber. 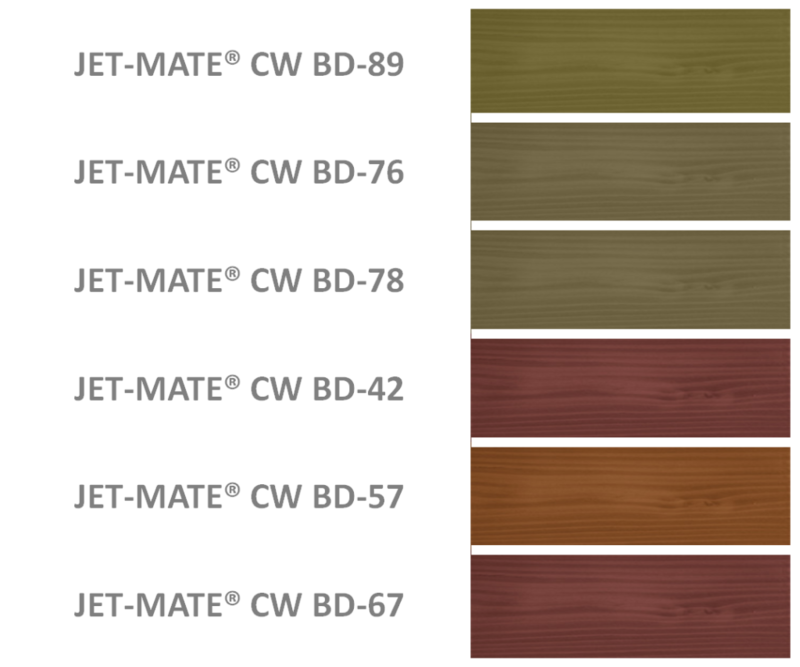 Jet-Mate Wood Colors are ideal for low-cost outdoor application as it provides the treated wood with both UV and weathering protection thus effectively shielding the timber surface from both degradation and undesirable stains.